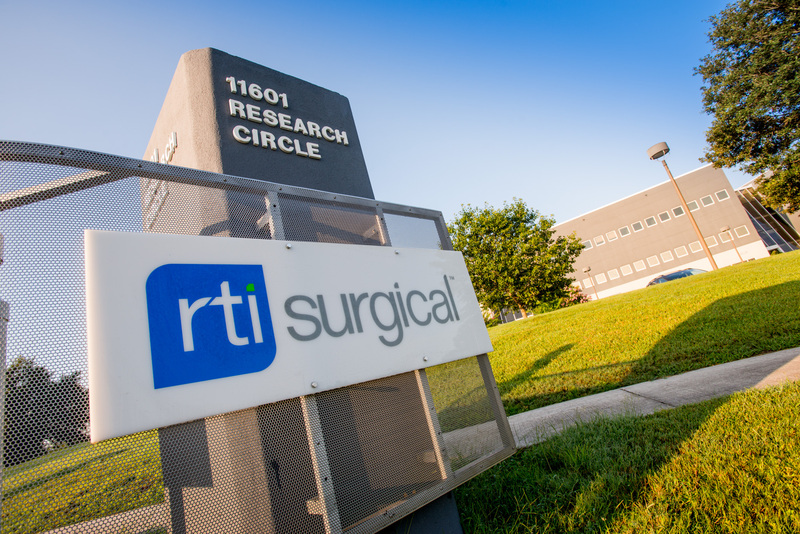 RTI Surgical® Announces Agreement with Oxford Performance Materials - RTI Surgical Holdings, Inc.
ALACHUA, Fla. (Feb. 11, 2016) – RTI Surgical® Inc. (RTI) (Nasdaq: RTIX), a leading global surgical implant company, announced a new agreement with Oxford Performance Materials, Inc. (OPM), a pioneer in advanced materials and additive manufacturing (3-D printing) for biomedical applications. The agreement, effective Feb. 4, 2016, grants RTI an exclusive license to OPM’s OsteoFab® technology platform for spinal applications in all U.S. markets. OsteoFab is a next-generation implant manufacturing process that builds implantable medical devices, layer-by- layer, using only laser light and OPM’s OXPEKK® polymer. The OsteoFab process and OXPEKK material combine to create implants that are designed to enable bone ongrowth. OXPEKK is a proprietary high-performance biocompatible polymer formulation from OPM, designed for medical applications. This strong, pure, radiolucent, hydrophilic, load-bearing material boasts a successful history in orthopedic implant applications. Under the agreement, OPM will manufacture RTI’s spinal implant designs using OsteoFab technology, and RTI will oversee finishing steps, packaging, marketing and distribution of finished products. Oxford Performance Materials Inc. (OPM) is a recognized leader in 3D printing and high performance additive manufacturing (HPAM™). OPM has developed a range of advanced materials technology focused on the high performance polymer poly-ether-ketone-ketone. OPM has successfully developed unique, enterprise-level additive manufacturing solutions utilizing its OXPEKK® polymer formulation and proprietary 3D printing processes to deliver fully functional end-use products to the biomedical, aerospace, and industrial markets. A pioneer in personalized medicine, OPM Biomedical became the first and only company to receive 510(k) clearance from the FDA to manufacture 3D printed patient-specific polymeric implants, initially for its cranial prostheses line in February 2013. OPM’s second FDA clearance was for its patient-specific facial implants in July 2014, and its third was in July, 2015 for its SpineFab® VBR system, which provides the first and only FDA cleared 3D printed load-bearing polymeric medical device. All three implant product lines are for permanent implantation.